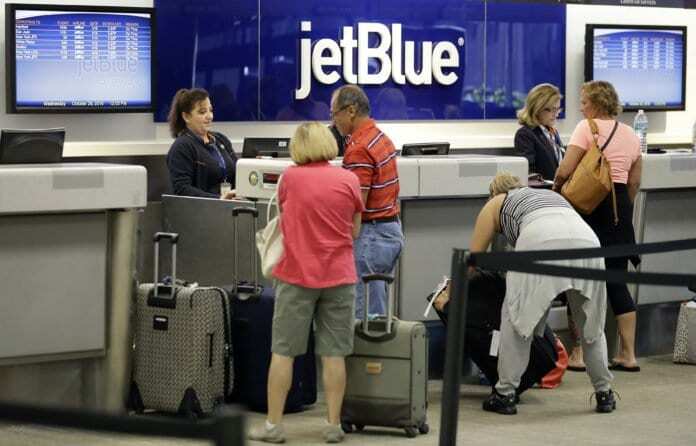 JetBlue is standing by their decision to remove a family of four from New Jersey off a recent flight to Las Vegas after they reportedly refused to move a birthday cake they brought on board when a flight attendant asked them to take it out of an overhead bin. Cameron Burke, who was traveling with his wife Minta and their two young children for a surprise birthday trip in honor of Minta’s birthday, recorded an encounter in which his kids became increasing upset as police came onto the aircraft to confront Cameron. The father told ABC 7 that he moved the dessert from an overhead bin to under the seat in front of him when asked, but that two flight attendants still had an issue.